Imagine a person chasing a scared puppy across an open field. The frightened puppy is brutally clothes-lined by a rope thrown around her neck; her legs fly out from under her. Her attacker grabs her, lifts her waist high and body slams her to the ground. Terrified, the puppy’s legs are tied together so she can’t escape her tormenter; and she is dragged by the neck with the rope. 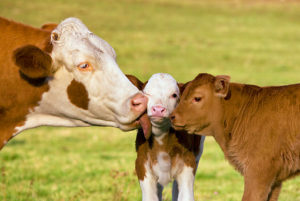 Now imagine this scene occurs not in an open field, but in an arena filled with hundreds of cheering fans; and the puppy is not a dog, but an animal we sometimes refer to as a “doggie” – a baby calf. 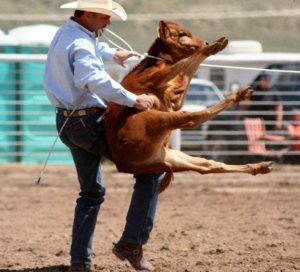 When these actions are taken against a puppy or kitten the offender is charged with a felony and jailed; but at rodeo these actions are applauded and cheered. Rodeo is unlike any other professional sport. It emerged from the boredom of poorly paid ranch hands transporting animals from ranch to slaughterhouse. Much of that lifestyle has been replaced by truckers today; begging the question – what keeps rodeo alive? If wrangling were another kind of job, those tedious hours might have produced another ball game; or if those original cowboys had been truckers they might have created today’s popular monster truck rallies. As it is, today’s rodeo is a relic of bored cowboys trying to kill time by concocting monstrous competitions that brutalize defenseless animals. According to Arizona State Statute (ARS) 13-2910, a person commits a felony when any animal is intentionally, knowingly or recklessly subjected to cruel mistreatment. One might think that this statute was specifically written to ban rodeo. In fact, rodeos are exempted from this ordinance being called a “lawful sport”. This might appear to be a grievous oversight prompting us to want to correct this law. However, when you read ARS 13-2910 you find this note: (Caution: 1998 Prop. 105 applies). Proposition 105 actually forbids the legislature from repealing or amending this law; thereby deliberately sanctioning rodeo cruelty as a lawful sport. 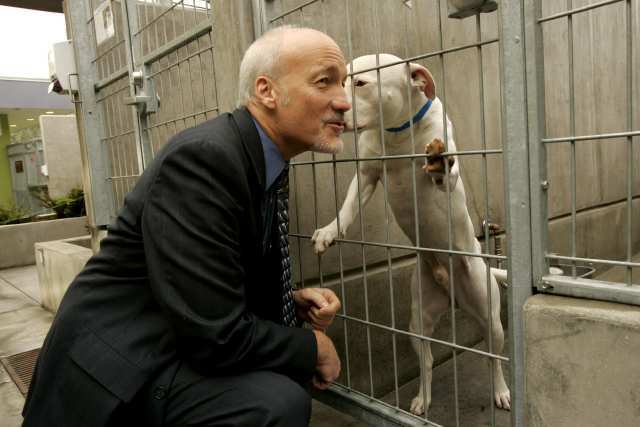 However, the proposition also states that an amendment that furthers the purpose of the existing law (to ban cruelty) can be enacted with at least three-fourths of the members of each House of the Legislature. If three-fourths of both legislative houses can agree that rodeo is animal abuse (disguised as a “sport”) then the ARS 13-2910 exemption can be revoked and rodeo animal abusers can be charged with a felony. 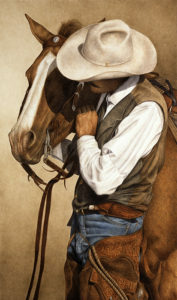 The fabled cowboy rides high in our culture; the heroic symbol of American independence and self-reliance exalted through two ongoing, albeit antithetical, institutions: cerebral cowboy art and a cruel rodeo.